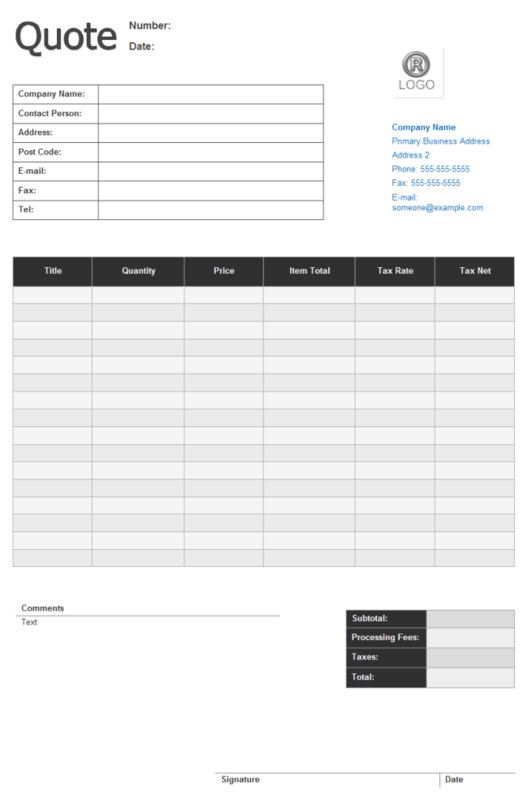 Description: A free customizable price quote form template is provided to download and print. Quickly get a head-start when creating your own price quote form. Explore more easy-to-use printable quote forms that you can download, customize, save and edit.